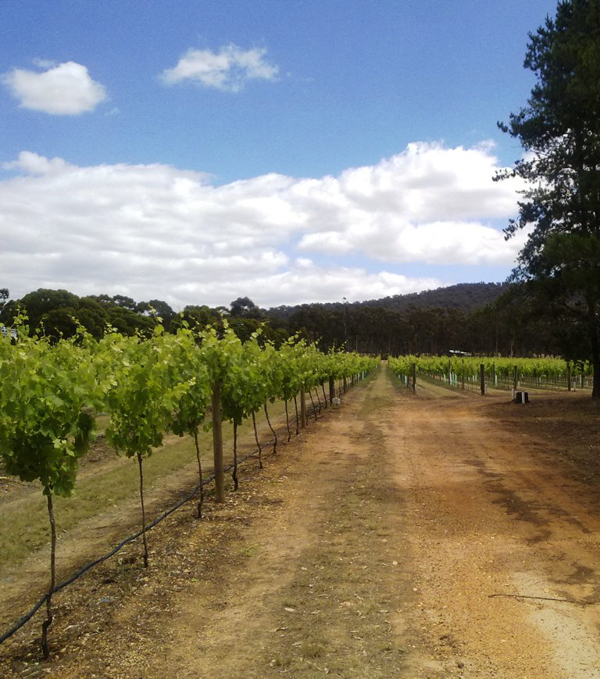 The vineyard is a small, single vineyard (7 acres under shiraz vines) established in 2002 by the Keech family from Kew in Melbourne. The vineyard rows are in a more general north to south configuration, gently sloping towards the northern foothills of the Pyrenees range. The north-west boundary features a picturesque pine plantation. Although we are reluctant to categorise ourselves as a ’boutique’ operation, we are very definitely positioned at the small specialist end of the premium wine producing spectrum. The vineyard comprises of blocks 1, 2, 3 and 4 with carefully controlled and managed drip irrigation to all four blocks. At harvest, grapes are hand-picked, basket-pressed and the wine carefully crafted, by renowned winemaker Michael Unwin, all with a minimum of mechanisation. Our first aim is to produce a premium shiraz that is typical of this part of the Pyrenees wine region—big, bold fruitiness with balanced tannins, with a slight after-taste of the Pyrenees dust. The intense fruit flavours of this wine are complemented by its maturation for over two years, producing subtle overtones of French oak. Every vintage is slightly different, reflecting the currency of the climate and length of ripening period. Should it be necessary, and weather-wise given a choice, it is our plan to harvest late, rather than pick the crop before it reaches its maximum potential. Whatever the eventual crop may yield, we always strive to stick by our motto—we only bottle the grapes we grow—every bottle is a premium quality shiraz. Careful cellaring over 5–8 years will reap its rewards!